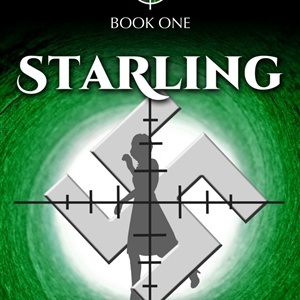 A WWII fiction, STARLING is the code name of Ellie MacCalister Greer, a former MI-6 agent. Hoping to leave her past in Nazi Germany behind, she sails to Canada, learning she is the target of a Nazi double-agent. After U.S. Coast Guard Lieutenant Karney "Irish" Rork snatches Ellie from a watery North Atlantic grave, he too comes into the sights of this same deceitful Nazi, who posed as a highly-decorated British officer. But Ellie's location can't break the deep family bonds she's tried to leave behind. Read the EMERALD TARGET SAGA to discover what puts each of the characters in peril. Richard, thank you for the note. Link is missing. Go to Amazon.com which is where it would send you: Emerald Target - Irish - Book II. Good luck with surgery. Hi Denise, l am an inpatient at UC hospital looking to schedule heart surgery. I've just completed Starling. Can't wait to get Irish. Can I purchaseon Wsite? Denise, thank you so much for your reply! I wish you well as you work towards publication of ‘Pawn’. I’ll be watching for it n Spring 2019! I am truly a fan!